If you’re a growing small business, chances are you’ll have to hire an employee at some point. No matter what job they’ll be hired for, as an employer, you have to be prepared with a game plan to find and secure the best talent in the most efficient way. After all, hiring can be more expensive than you think—between the time and resources dedicated to finding a new hire, plus the salary, benefits, and tax costs associated with an extra person in your business, things can add up pretty quickly. And if you’re confused as to where to start, you’re not alone: in a recent survey, nearly 42% of small business owners polled claimed hiring new employees was their biggest challenge. So don’t let a bad hire diminish your hard-earned success. We’ve outlined some ways to create the best hiring plan for your business, without breaking the bank. Pro Tip: Don’t spend money hiring unless you need to. No matter if you’re self-employed or already have a handful of employees working for you, you should be busy without being completely overworked. After all, you’ll be spending a lot of money on a new employee over time—so make sure the increase in manpower is worth it. You have to post the job, wait for applications, conduct interviews, and take care of all the necessary paperwork before the new hire’s first day. Second, make sure your job posting is thorough and specific. The more specific you are about the job’s expectations, duties, and required skills, the more qualified your applicants will be. Though you may not have hundreds of applicants to choose from, the dozen or so that you do get will match your requirements a lot better. No matter what, always keep in mind your industry. If you’re looking for a specialized skill set, it may take longer to find the right person—so be prepared and create a realistic timeline. Even if you don’t offer a long list of employee benefits, you still have to spend an additional amount of time and money taking care of employee taxes, supplies and resources, and payroll. Calculating those costs is crucial to deciding if you can afford a new employee at all. Payroll is a necessary expense when you have employees—either in terms of time or money (or both). 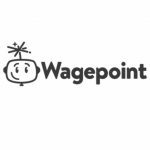 Whether you decide to (tediously) run it by hand or use a simple payroll software like Wagepoint, you have to pay your employees somehow. There are a few things to know that can help you get started. Despite all these financial considerations, don’t get scared by the numbers; hiring a new employee usually increases company productivity and drives growth, which translates into more money in your pocket overall. Why go through the motions of hiring and paying an employee, only to find out later they were the wrong choice? And a poorly-chosen employee doesn’t only affect the bottom line—they can also decrease company morale, cause drama in the workplace, and cut down productivity. The last thing you need is less money and a negative work culture. Rushing through the hiring process can lead to bad hires. So even if you’re pressed for time, make sure you’re going through each candidate thoroughly. Don’t have time to do a deep dive on every applicant? Go with a hiring agency for your industry that can pull from a large reserve of top talent. Though you will likely have to pay for an agency’s services, they can definitely help you find the right hire in a pinch. 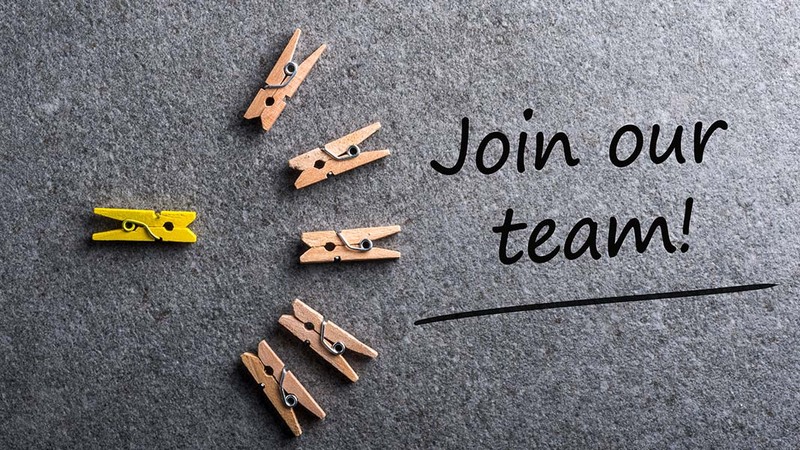 When you’re ready to post your job opening, you’re likely going to use multiple sources like social media, newspaper ads, online job boards like Simply Hired or ZipRecruiter, or referrals from current employees or network connections. You can easily add the question to an online application, or simply ask your applicants while you’re conducting an interview. Pro Tip: Use the interview to find out who the applicant is—not just what their skills are. Acing the interview is not just a necessity for the applicant—it’s a huge test for the interviewer, too. Because in reality, applicants are judging you, your work style, your company atmosphere, and your business at large just as much as you’re judging them. While the questions you ask are important, paying attention to the verbal and (non-verbal) responses is important, too. Body language in an interview can tell a largely different story even if the candidate’s answers are on point with what you’re looking for. Pro Tip: Don’t make an offer you can’t afford. But sometimes, what you can afford to offer won’t secure your ideal candidate. If you can’t compete within your industry salary-wise, look to add benefits that can bolster your offer. Not just things like health insurance and vacation, but also in-house perks like lunches or skills training that boost work culture and make employees feel like you’re investing in them. And the biggest thing to avoid: making promises you can’t keep. Even if you’ve found the perfect candidate, it may not work out if you can’t provide them what they demand. Don’t blow your hiring budget unless you’re absolutely sure the candidate is worth it. As you’re extending offers, don’t hesitate to contact your first choice ASAP. Taking too long to make an offer is a leading cause of rejection, so once you’ve made your decision, let them know! This also gives you the chance to make an offer to a second choice quickly if needed. And that’s true—onboarding is a structure made for new hires. But the process of successfully onboarding a new employee starts before their first day. The sooner you can start onboarding a new hire and get them comfortably incorporated into your business, the more productive and successful they’ll be. And successful, loyal employees translate into results for your bottom line! Hiring isn’t an easy task, especially if it’s your first time.